CocktailMom: Instant Pot Cinnamon Applesauce - No added Sugar! If you are looking for an applesauce recipe without added sugar or sweeteners and yet is still extremely flavorful, I've got the gem of easy recipes to follow. The end result is slightly chunky but not too much chunk if you know what I mean, just enough to make you feel like you aren't six years old. 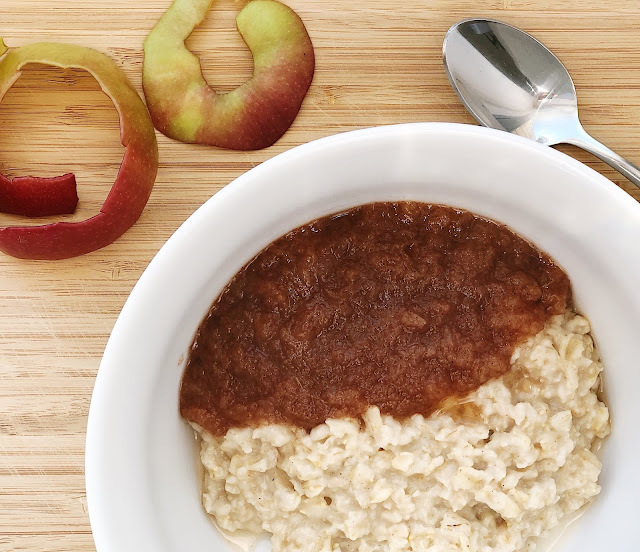 The applesauce is very flavorful and goes well served over oatmeal or plain greek yogurt for breakfast or paired with a frozen yogurt for an easy low-fat dessert. Place all the ingredients in the instant pot and stir so that the spices are coating the apples. Cook on HIGH for 8 minutes with a quick release.